Experts have prepared terror attack advice for British children, and police have said it should be taught in schools and colleges after a string of deadly attacks in the UK. 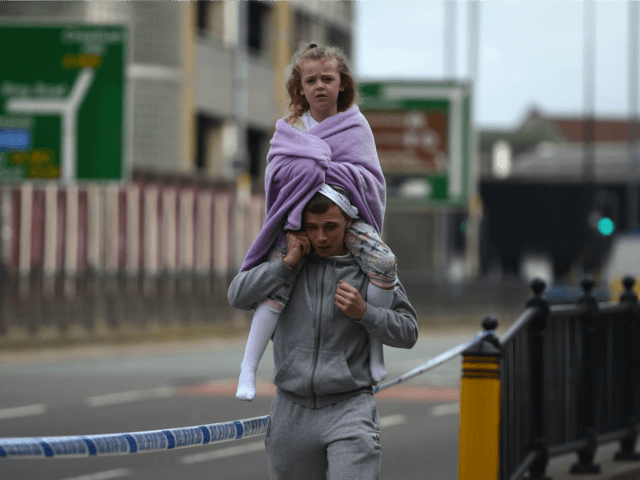 The British capital London has been hit no fewer than five times this year, with more attempts foiled, and the Manchester attack in May (pictured) specifically targeted a concert for children. Now, the Deputy Assistant Commissioner of London’s Metropolitan force, Lucy D’Orsi, has said giving children advice in classrooms could save lives. “The atrocities in London and Manchester have sadly resulted in some of the youngest victims of terror this country has ever seen, and if we are able to teach children to act in a way which could potentially save their lives then it is our responsibility to do so. The warning comes as counter-terrorism police launch a new campaign to educate the general public after concerns were raised about people stopping to film the partially-exploded Parsons Green bomb instead of running to safety. A star-studded video released on social media – featuring a professional footballer, a rugby player, and the chief Scout – urges people to “run, hide, and tell” in the event of an attack. Experts have reportedly drawn up a version for 11- to 16-year-old children, which they say should be taught in schools and colleges as part of the national curriculum. Seven children were amongst the 22 people killed at Manchester Arena and the youngest victim was eight-year-old Saffie Rose Roussos. The NSPCC, the nation’s largest children’s charity, says it has received 300 contacts from young people concerned about terrorism since April of this year. John Cameron, head of helplines at the charity, encouraged parents and carers to talk to children about terror attacks and offer them reassurance. “Although these conversations might be difficult, the spate of devastating events means that they cannot be brushed under the carpet and we all have a duty to help every child stay safe,” he said.